Rolling Stone magazine called Cale's Paris 1919 album "a masterpiece"
Former Velvet Underground musician John Cale will perform his seminal solo album Paris 1919 in full in London next week. Cale, born in south Wales, first began working with Lou Reed and the Velvet Underground in New York in the mid-1960s. He left the band in 1968 and has since recorded more than 20 albums, including collaborations with Brian Eno, Nick Drake and Patti Smith. On 5 March, he brings his 1972 work Paris 1919 to London's Royal Festival Hall, performing alongside the Heritage Orchestra. Why have you decided to perform the album in this way now? There are always requests for it and we've never managed to find the right occasion for it, until now. I did it at an event called Soundtrack in Cardiff last year and it worked very well. It's not something that I see happening everywhere, because you've got 19 musicians in tow and an orchestra. Yes, it was in 1972, the height of the Cold War, and that's where the title came from. But it really is an album of nostalgia about everything I liked about Europe. So when you came back to the UK after that, is it true the only music you brought back with you was a box of Beach Boys records? Yes actually. I had a basement flat for a while in Earls Court and I just put the Beach Boys on. From being in LA and having access to the Beach Boys all the time, I came back here and I'd just zone out in my dim little flat. Some of your older work, such as with the Velvet Underground, has been revisited a lot. Do you pay attention to those reissues and books? I don't. Whatever the Velvet Underground did they've done, and it's in the past. I respect that people admire what we did, that's gratifying, but I'm in such a different place with what I think songwriting is these days. There have been numerous high profile reunions of popular bands recently. Have you been asked to do that with the Velvet Underground? Yes. It's not something that I can see happening on the basis of the past. Anyone who wants to reform the Velvet Underground for a series of concerts, to make some money, I understand that, but you can't do that. We don't have Sterling [Morrison] any more. If I said that was something I was intrigued by, people would think I was cynical. Are you in touch with your former bandmates? Yes. We do business. I haven't spoken to Lou in a long time, but we're in touch because of business. There's no communal effort to enjoy each other's company any more. You played Glastonbury with them in 1993 - would you like to play Glastonbury solo this year? Sure. It's a lot of fun. What to do? Just do a rock 'n' roll show. It'd be great. When I'm finished with this series of concerts in July I'll go back into the studio and finish these songs. I have 28 songs at the moment, but I've got to finish them. I haven't figured out how to release them, that's a bit of a conundrum. Do you still believe in the album as a concept? I'm not sure that I do. Todd Rundgren gave a concert in New York the other day and immediately after you could get a memory stick of what you'd just experienced. I thought that was a very shrewd idea and wondered if there are any variations of that I could do. There's been a lot of debate recently about whether EMI - a label you've recorded for - is going to be sold or broken up. How concerned are you by the problems facing the industry? Don't get me started on Guy Hands. Really, Terra Firma. Terra Infirma. Poor EMI. I don't know what's taken him so long to get rid of it. I thought that's why he bought it, to cut it up. It's a British institution, he should have more respect for it. 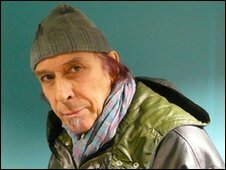 John Cale was speaking to BBC 6 Music reporter Rodrigo Davies. You can hear the full interview on The Music Week on 6 Music on Sunday from 1300-1400 GMT.